From installing driveways to repairing roads, our asphalt paving company in Fort Worth, TX can do it all! Look to our team at TCP for all of our paving services in Dallas, TX. Our concrete contractors in Fort Worth will seal your pavement easily by hiring the chip sealing professionals at our company. We are always available to assist you with sealing any kind of paved surface. Leave it to our ground leveling team members to remove any unneeded dirt from your construction site. By having us complete your work, you’ll save time on your project. Paving is not a “set it and forget it” job, like so many other things in modern life. A good paving project requires attention to detail, quality materials used throughout the process, and workers who care about getting the job done well. Without these things, an asphalt job doesn’t last very long. Poor quality materials, poor asphalt laying work, and on-the-job laziness results in surfaces that wear out more quickly and require more money spent on long-term maintenance. Not every paving company provides more than just the asphalt that makes up the roads or driveways we use every day. 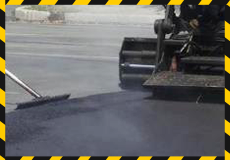 When it comes to laying asphalt, chip sealing, or fixing the roadways or parking areas that we rely on, the asphalt projects that last are the ones that take the time to do it right. That is where TCP Asphalt stands apart from their competitors. TCP Asphalt provides quality, consistent paving solutions in Dallas, Pecos, Alpine, Fort Worth, and the Tilden, Texas areas. Residential Paving: Driveway repairs, driveway replacements, pothole repairs, and driveway maintenance. Commercial Paving: Parking lot repair, pothole fills, new construction, road building, sidewalks, walking and cycling paths, runways, tennis and basketball courts, and more. Chip Sealing: Available for both residential and commercial customers, chip sealing is a cost-effective way to repair and maintain paved surfaces. Learn more about it by visiting our chip sealing page. 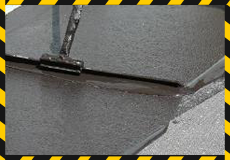 Surface Leveling: Over time, asphalt and chip sealed surfaces warp and fall into disrepair. This is natural, but waiting too long to repair these things can be disastrous. We help you identify overt and potential warping so you can repair it before it causes an accident. 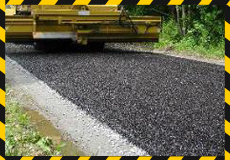 Asphalt Laying: For those looking for a traditional, smoothly-paved finish, TCP Asphalt provides professional asphalt laying at a competitive rate. Paving Maintenance Planning: Not sure when to call a contractor for help with your paved surfaces? Work with us, and we’ll never keep you in the dark. Our staff lets you know what you should be looking for in asphalt failure and lets you know about optimum maintenance schedules, saving you time and money. Dirt Removal: Have a construction job that’s gotten dirty? TCP Asphalt is well-equipped to haul dirt from both commercial and residential construction projects in the locations we service. What once started small has grown to a Texas-sized institution. Located in Dallas, Texas, TCP Asphalt services those located in the Fort Stockton, Pecos, and Alpine locations as well as the Tilden area. We have proudly served our customers for more than 25-years with our concrete contracting services. Beyond the typical paving services, we help our customers understand the paving process and save them money in the long term. By explaining the differences in services, helping you plan for the life of your paved area, and helping you prepare for maintenance, we not only show you that we care about you as customers, but we are committed to bringing you the best paving business available in your area. Another way that TCP Asphalt shows that they care is by providing exclusive offers to our customers. All customers receive a free consultation and estimate on their paving service before their first job is completed. For churches, we offer a continuous 10% discount on the job. These offers are to say thank you to the businesses and people that make Texas living as comfortable and diverse as it is. Before we do any sort of labor, there is one thing that we ensure is taken care of – and that is comprehensive customer care. From the moment that we begin our initial consultation to the aftercare we provide for your newly-paved property, we make sure that you are aware of and knowledgeable in each step of the process. TCP Asphalt fosters long-term relationships with its customers, and it is that sense of openness that allows us to provide the services that we do. For more information, to get started with your free consultation or quote, contact us today. Alternately, you may choose to stop by our office in the Dallas/Fort Worth area. We look forward to serving you. Monday- Saturday 9:00 a.m.- 5:00 p.m.